Carol Ann Rasor Diemer, 71, passed away Sunday, July 9, 2017. Carol was born June 10, 1946, in San Diego, California, to Howell Douglas Rasor and Dora Annabelle Sullivan Rasor. She graduated from Putnam City High School in 1964 and on March 27, 1965, she married Bob Diemer Jr. in Oklahoma City. Bob and Carol immediately made their home south of Tonkawa, where Carol joined Bob in the family farm business. Additionally, she held positions at Commerce Bank in 1967, First National Bank in 1968, City of Tonkawa in 1981 and Conoco in 1986. Carol retired in 1996 and turned her full attention to helping Bob with managing Diemer Farm and Diemer Construction. 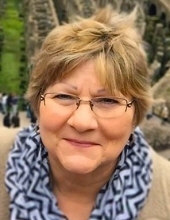 Carol cared deeply about Tonkawa and volunteered with many organizations, including the Tonkawa Chamber of Commerce and the Tonkawa Education Foundation. She was President of the High School Band Parents and, at the time of her death, she sat on the NOC Foundation board. In 2014, Carol and Bob started the Diemer Family Foundation for the purpose of ensuring their legacy of giving back to the community continues through future generations of their family. Carol was a loving wife, mother, grandmother, aunt, sister and friend. She enjoyed Sunday drives with Bob, traveling with her family, weekly lunch with friends, hitting 10,000 steps a day, and keeping up with the escapades of her girls and grandsons. She is survived by her husband, Bob, of the home; two daughters, Kristi Diemer DesJarlais and husband, Andy, of Houston, and Misty Diemer Turley and Brad Thurman of Tulsa, Okla.; four grandsons, Jake DesJarlais of Austin, Texas, Alex DesJarlais of Houston, and Evan and Owen Turley of Tulsa; one brother, Doug Rasor and wife, Pat, of Portsmouth, Va.; and numerous nieces and nephews. She was preceded in death by her parents, sister Pam Smith and brother David Rasor. A public memorial will be held Thursday, July 13, at 1 p.m. at the Tonkawa High School Events Center. In lieu of flowers, the family asks that donations be made to the newly established Carol Diemer Memorial Scholarship Fund at Northern Oklahoma College, to provide opportunities to Tonkawa High School female students pursuing agri-business or business degrees. Gifts to the scholarship fund can be mailed to Trout Funeral Home, attn. Carol Diemer Memorial Scholarship, PO Box 1029, Ponca City, OK 74602. Funeral arrangements are under the direction of Trout Funeral Home of Tonkawa. To send flowers or a remembrance gift to the family of Carol Ann Diemer, please visit our Tribute Store. "Email Address" would like to share the life celebration of Carol Ann Diemer. Click on the "link" to go to share a favorite memory or leave a condolence message for the family.